Carol L. (Lewis) Mas, age 67, of Mary St., Berwick, died at 2:14 a. m. Wednesday, March 13, 2019, at the Geisinger Medical Center, Danville, where she had been a patient for three days. She was in failing health for the past three years. Born in Bloomsburg on January 10, 1952, she was a daughter of Alice F. (Benscoter) Lewis, Benton and the late A. Clair Lewis. Her early life was spent in Benton where she was a 1969 Benton High School graduate. She later received an Associate Degree from Luzerne County Community College. She resided in Berwick for about 45 years. 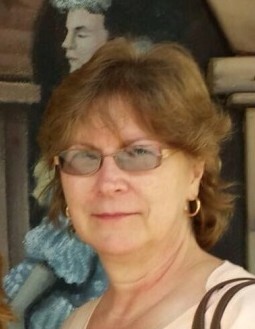 Carol was employed for several years at the Berwick Hospital Center. She was then employed by the Town of Bloomsburg in 1990, initially at the Recycling Center and in 2003 she became the Town Administrator, retiring in 2012. She also was the secretary of the Bloomsburg Municipal Authority and when she retired from full time employment in 2012, she became the assistant secretary of the Authority. She also worked part-time for Renco, Bloomsburg until recently. Her grandchildren were the love of her life and she cherished the time she spent with them. In addition to her father, she was preceded in death by a daughter, Jill Elaine Webster on March 8, 1969 and by her husband, Adrian R. Mas on October 12, 2012. Carol is survived by her mother, who resides in Benton, a son, Steven T. Webster, and his wife Michele, Delmar, Md. ; a daughter, Carrie A., wife of Dr. Matthew Snyder, Romansville; a step-son, Dominick Mas, Berwick; four grandchildren: Hunter Nelson, Ryan Nelson, James Webster, Adam Snyder; and two sisters: Sandra, wife of Larry L. Hess, Wernersville and Cheryl A. Lewis, Benton. Funeral services will be held on Saturday, March 23, 2019, at 11 a. m. in the Benton United Methodist Church, Main Street, Benton, with the Church pastor, Matthew Verstraeten officiating. Private interment will be made in St. James Cemetery, near Bendertown. The family will receive friends at the Church from 10-11 a. m.
The family will provide flowers. Friends may remember Carol with a contribution to the Geisinger Foundation (designated for Gynecology/Oncology) , 100 N. Academy Ave. , 25-76, Danville, PA 17822. Funeral arrangements have been entrusted to the care of the Dean W. Kriner, Inc., Funeral Home & Cremation Service, Benton.